From clothes and bags to toys and books, these are some items that are commonly found and stored in bedrooms for convenient access. 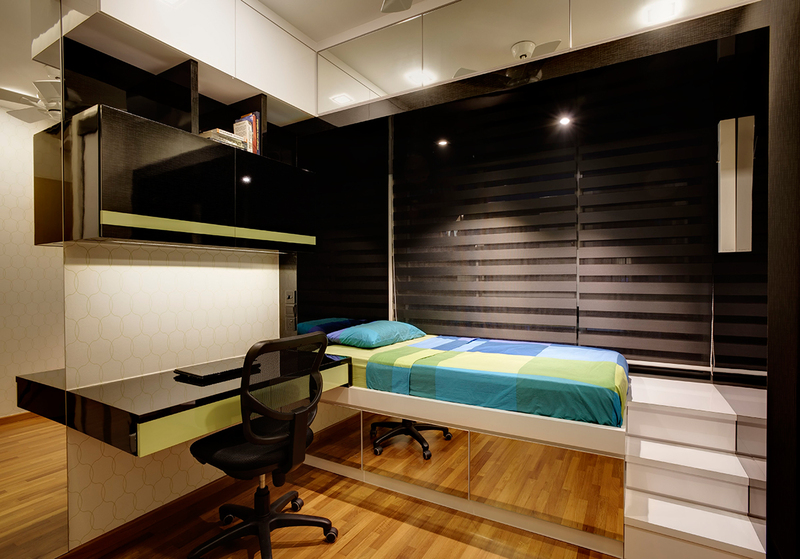 For this reason, it’s easy for such belongings to completely ‘take over’ a small bedroom, especially when there’s insufficient storage space. The good news, though, is that there are plenty of options to choose from when it comes to solving this problem. Although tight corners might appear to be unusable parts of a room, there are storage solutions that allow homeowners to take advantage of them. One example is Cornice, an interior system by raumplus. In addition to pull-out rails and hangers, Cornice’s revolving multi-shelf unit enables efficient storage in small rooms, thanks to its revolving shelf concept that maximises space in awkward corners. 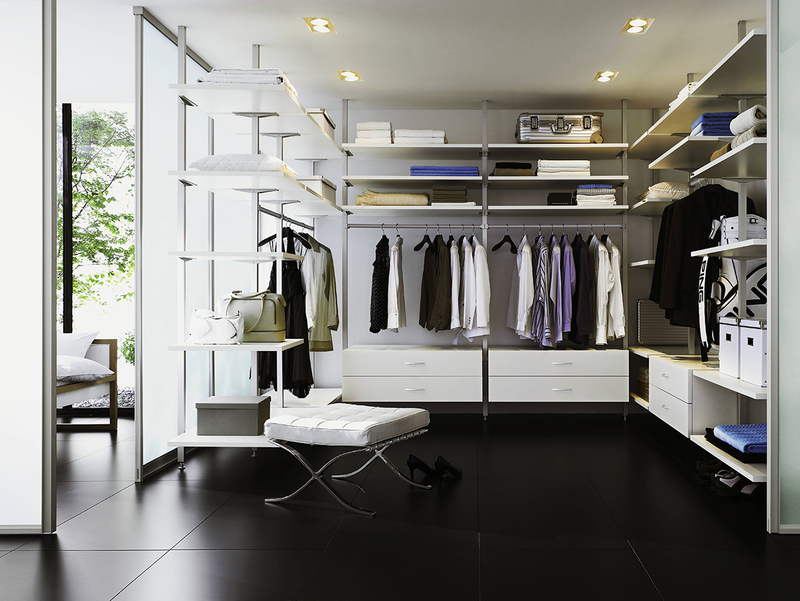 Open shelving units have the advantage of allowing owners to easily see into their wardrobes, while providing easy access to clothes and accessories in smaller spaces. Additionally, the adjustable storage brackets of these systems can be fitted into a wider rooms to create a customised walk-in wardrobe. 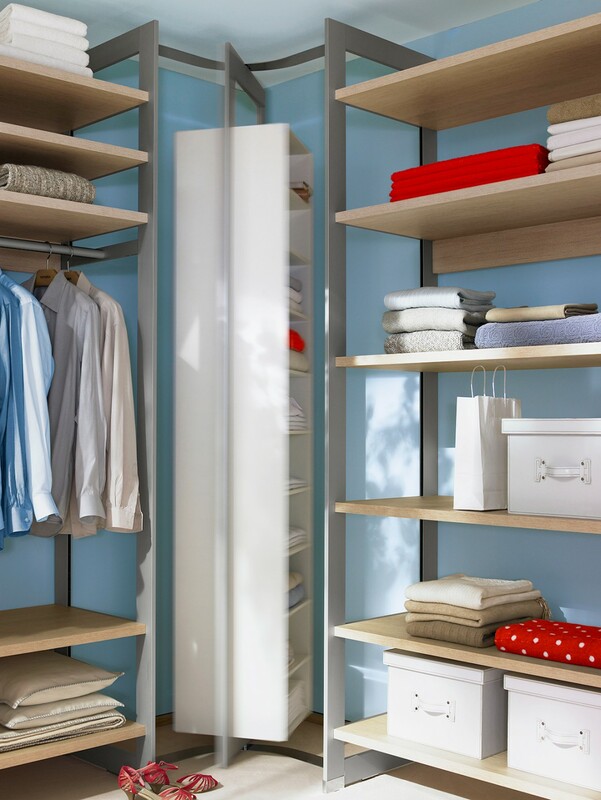 Built-in wardrobes might be able blend seamlessly into a room’s design, but their free-standing counterparts tend to be more suitable for small spaces. Taking up less visual space than floor-to-ceiling built-in storage, freestanding units can make a room feel larger than it actually is. Since they are easily moved, homeowners can also change and refresh the look a room by simply rearranging their wardrobes. 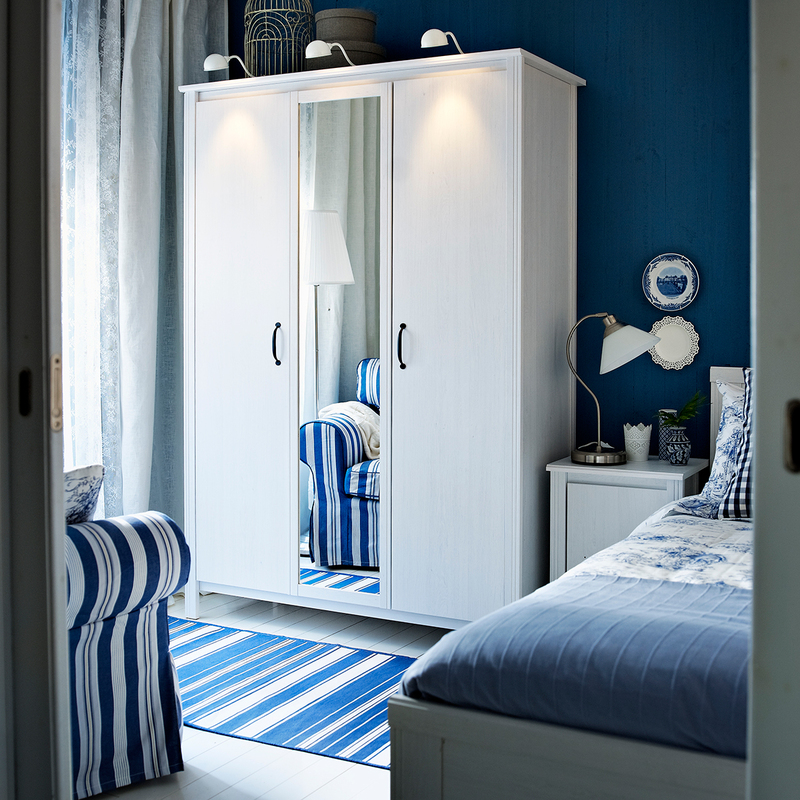 Apart from providing additional storage, multi-function standalone furniture are useful for small bedrooms as they combine different fixtures into a single unit to save space. 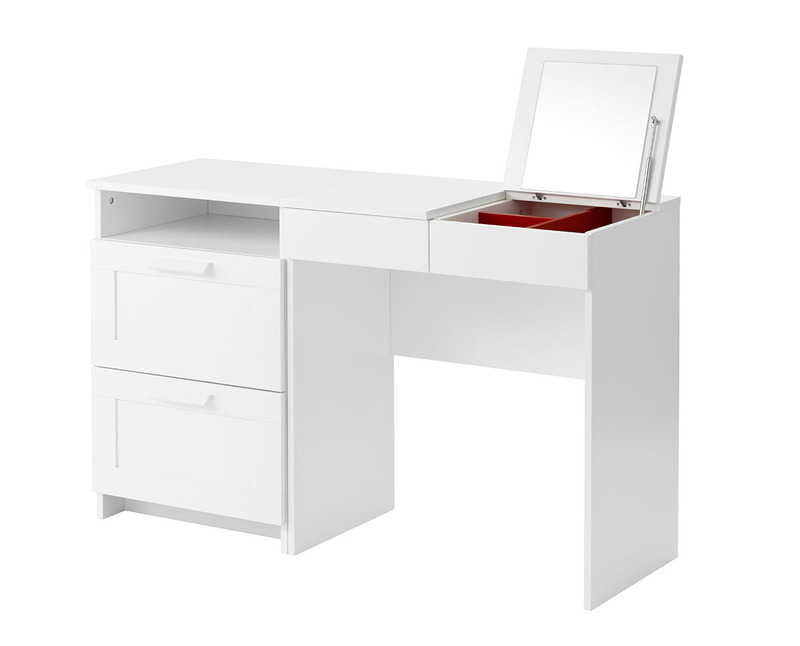 For instance, the BRIMNES dressing table from IKEA features a built-in mirror, hidden storage for makeup and jewellery, and drawers. Stow away the mirror and you can use it as a desk! When floor space is limited, you can either go up, down or both ways. Creative storage solutions above and/or below a room allow homeowners to do away with separate pieces of furniture. Incorporate pull-out drawers or sliding cabinetry into a bed for a double-duty solution that allows you to store and snore in comfort.